Welcome to Pro-Active Physical Therapy. The Pro-Active Physical Therapy System treats the injured tissues first, to restore functional movement, often within the first session. Through the use of stretching and strengthening exercises, the Pro-Active system gives patients the necessary tools for long term healing and the correction of harmful postural imbalances. Colin Broadbelt is a sports orthopedic physical therapist and the owner/operator of Pro-Active Physical Therapy. Mr. Broadbelt came to the profession of physical therapy, not only as a result of the aches and pains he deservedly earned through years of self abuse from various athletic endeavors, but also through witnessing the dramatic relief his father derived from myofascial therapy. Before finding a myofascial therapist, his father suffered for many years, due to the intense pain from temporomandibular joint disorder (TMJ). He had so much difficulty chewing food, that he usually used a blender to reduce his foods to liquid form. At the age of seventeen, Colin enlisted in the US Navy, where he served as a medical corpsman with both the Marine Corps Infantry and the Reconnaissance Rangers. Following his military Service, Mr. Broadbelt graduated from Penn. State University with a degree in French/Business. He also spent his junior year abroad in Montpellier, France, where he allegedly studied only the french language. Eventually, Mr. Broadbelt went on to obtain a master’s degree in physical therapy from the University of Southern California in 1996. Prior to opening his private practice, Colin worked in both an inpatient and outpatient orthopedic setting, at St. John’s Hospital in Santa Monica, CA. Working for St. John’s, Colin was first introduced to treating professional athletes, when he traveled with the women’s professional volleyball tour (BVA) throughout California. Over the past twenty plus years, Colin Broadbelt has worked with individuals, ranging from weekend warriors to collegiate, professional, and Olympic athletes. He has treated members of the FBI, US Military , Police, LAFD, as well as notable members of the entertainment community. In addition, Mr. Broadbelt specializes in and enjoys working with the geriatric population. While still in physical therapy school, Colin researched and submitted his grant research proposal to study the most effective approaches to weight bearing exercise for the elderly population. Disappointed by the failures of traditional physical therapy treatments, Colin Broadbelt pursued alternative approaches to sports orthopedic rehabilitation. 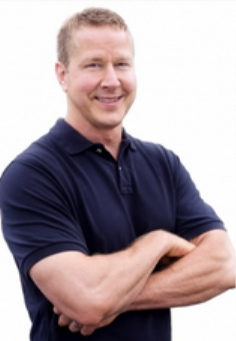 He has earned numerous certifications in myofascial and manual therapies such as Advanced Muscle Integration Technique (AMIT), Active Release Techniques (ART), the Graston Technique, Active Isolated Stretching Techniques, and multiple others. Treatments at Pro-Active Physical Therapy also utilize the latest in technology, including the Elvation Piezo Wave therapy, photon therapy, and vibration therapy, that accompany the manual therapy techniques that Mr. Broadbelt employs.